1 custom made box protector for your Nintendo DS Lite Console boxes. NTSC size only. Please check your box size if you have any other version that what is pictured. 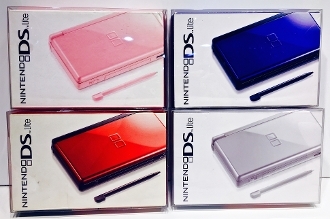 These fit the DS Lite boxes that are 7 5/8 x 4 7/8 x 1 13/16 or roughly 19.3 x 12.4 x 4.1cm.